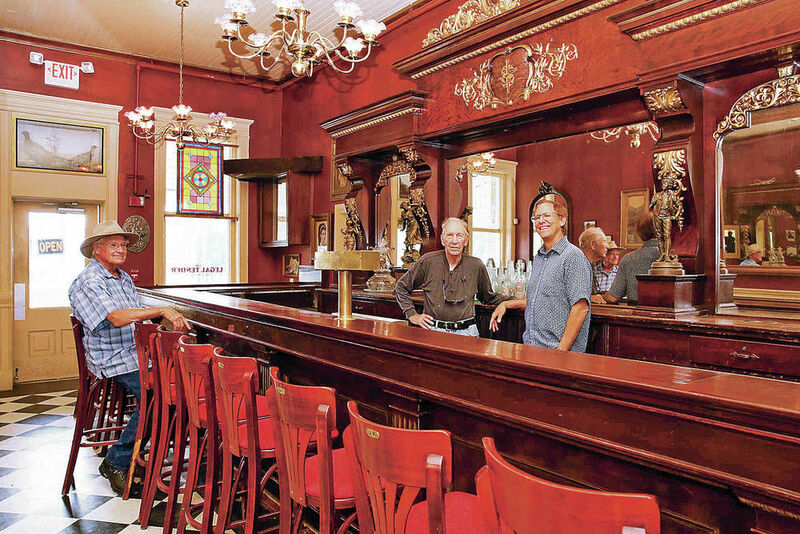 From left, Bob Sarr, former president of Santa Fe Southern Railway; Karl Ziebarth, CEO of Santa Fe Southern Railway; and new owner Allan Affeldt discuss plans Friday for the historic Legal Tender restaurant/saloon/museum in Lamy. Melanie Metz/For The Santa Fe New Mexican. Entrepreneur Allan Affeldt, who acquired the La Castañeda hotel in Las Vegas, N.M., last year, has taken on another Northern New Mexico restoration project, this one in Lamy. 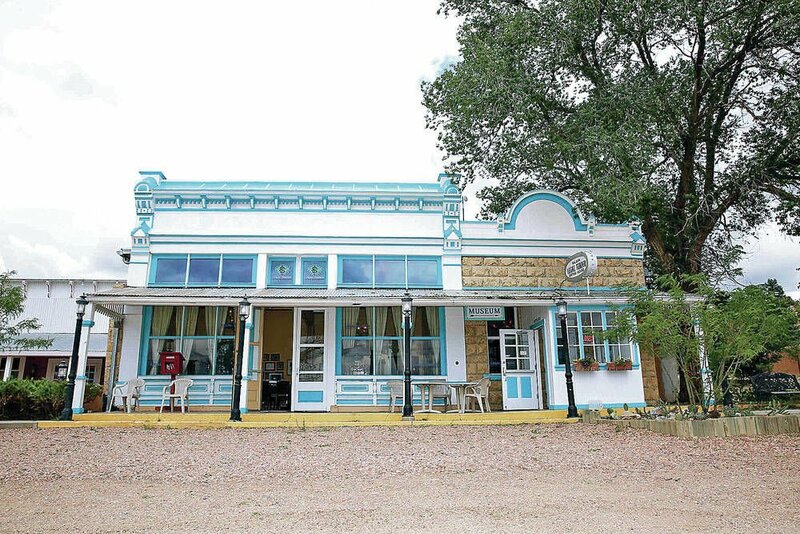 Affeldt, through a nonprofit he created in Arizona, acquired the historic Legal Tender restaurant and saloon building from the Lamy Railroad & History Museum, he confirmed Friday. The museum itself, located in the same building, and a Pullman dining car across the street were part of the transaction. “There is no bar like that in Santa Fe or Lamy,” Affeldt said. “It could be a really nice attraction.” No money changed hands in the deal. The transaction, which closed July 13, simply involved the Lamy museum board dissolving and transferring its assets to Affeldt’s nonprofit Winslow Arts Trust, he said. The Legal Tender, built in 1881, was placed on the National Register of Historic Places and donated to the nonprofit railroad museum in 2006, according to the museum’s website. A distinguishing feature is an oaken bar imported from Germany and installed in 1884, according to the site. The property, renamed the Legal Tender in 1970, was a nightspot popular with servicemen in transit along the Atchison, Topeka and Sante Fe Railway during World War II. It was called the Pink Garter in those days, according to Affeldt and museum officials. Sam Latkin, treasurer of the Lamy museum, said Affeldt’s acquisition of the property signals a new, potentially successful chapter in its history. The restaurant and saloon, and the dining car that housed a cafe, went through a series of contracted operators before closing about two years ago. A complaint to the New Mexico Attorney General’s Office alleging artworks and antiques have gone missing at the Lamy museum is still pending, an agency spokesman said Friday. Latkin said the claim, filed in January 2017 by Tom Hyland of Lamy, is without merit. Prior to acquiring the hotel in Las Vegas, Affeldt had restored La Posada in Winslow, Ariz., an 80,000-square-foot historic hotel. Built in the 1930s, La Posada today is a favorite subject for travel writers and has been featured in Sunset magazine and the New York Times. Both properties were part of the Fred Harvey Co. chain, which operated hotels along the Santa Fe Railway. La Posada, like La Fonda on the Plaza in Santa Fe, also a former Harvey House, was designed by Harvey architect Mary Colter. The $5 million renovation of La Castañeda is ahead of schedule, Affeldt said. One wing may open in October and the remainder of the hotel in summer 2019.Another Harvey hotel, El Ortiz, once stood in Lamy. Affeldt hopes to revive interest in the Legal Tender with the owner of the Santa Fe Southern Railway, which operated a tourist excursion line between Santa Fe and Lamy until 2013. Santa Fe Southern owner Karl Ziebarth of Dallas could not be reached Friday afternoon for comment on whether the railroad would restore the excursion service. In the meantime, Affeldt is soliciting offers from prospective restaurateurs interested in running the bar and restaurant, he said. The kitchen and dining room are in good shape, he added, and there is a card room, too. Downtown Santa Fe for 205K! Delightful and charming downtown Santa Fe, NM condo in El Matador. Great investment property with easy rental potential. Ground level steps from covered parking with two enclosed extra storage closets just for this unit. Plaster walls, nichos, new range, microwave and refrigerator. New countertops in kitchen and bath. New bath vanity. Large covered front portal with multiple seating areas and a new sun shade. BRAND NEW stack washer and dryer. Gorgeous courtyards and common areas. HOA covers roof, stucco, furnace and snow removal. Gated community. Minutes to the Santa Fe Plaza, shops and dining. 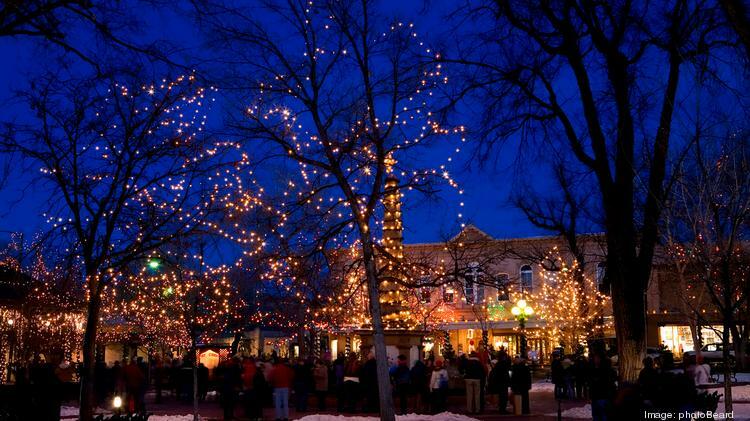 Santa Fe is getting recognized by a company that knows a pretty city when it sees one. 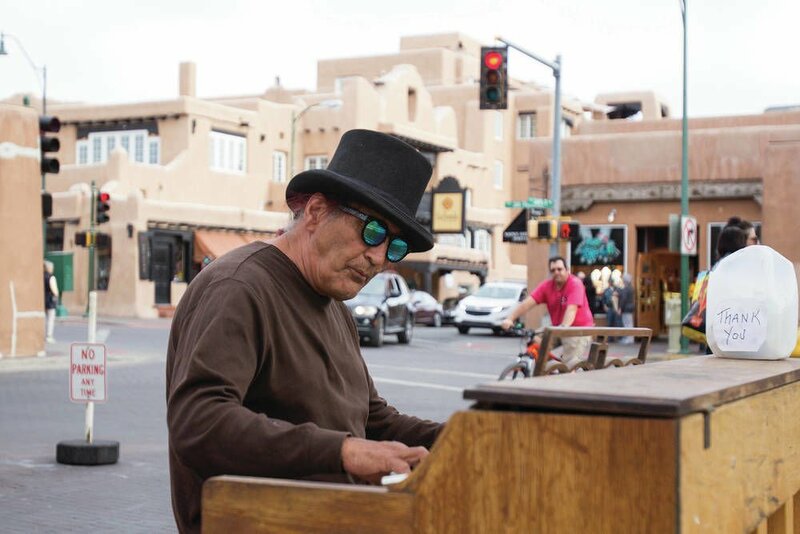 National Geographic crowned Santa Fe a World Legacy Awards winner. Santa Fe won the Sense of Place category. That category measured authenticity, support to protect historical monuments, archaeological sites and maintaining other culture and tradition. Santa Fe beat out Awamaki, Peru and Adventure Canada, Canada for this category. “National Geographic stands for exploration, conservation and stellar storytelling. World Legacy Awards celebrate the people, places and experiences that exemplify our mission in the global travel industry,” said National Geographic Travel editor-in-chief George Stone in a statement. Stone said the recipients represented the future of travel and are leaders in sustainability. “Our cultural diversity, our careful preservation of history and our authentic offerings have allowed us to be recognized on a world stage as the only recipient from the United States in this years National Geographic Legacy Awards,” said Randall. This isn’t the first time Santa Fe has been recognized by National Geographic. It has been named on the Best Adventure Towns and of The Best High Altitude Cities. In the most recent report done by the New Mexico Tourism Department, direct visitor spending in 2014 saw an all-time high at $6.08 billion. Due to New Mexico’s size, it’s challenging to leave the state for a day trip, unless you live next to the border. But that’s okay. There are plenty of amazing destinations just waiting to be discovered in the Land of Enchantment. To get you started, we’ve compiled a list of some of the best day trips you can take in New Mexico. 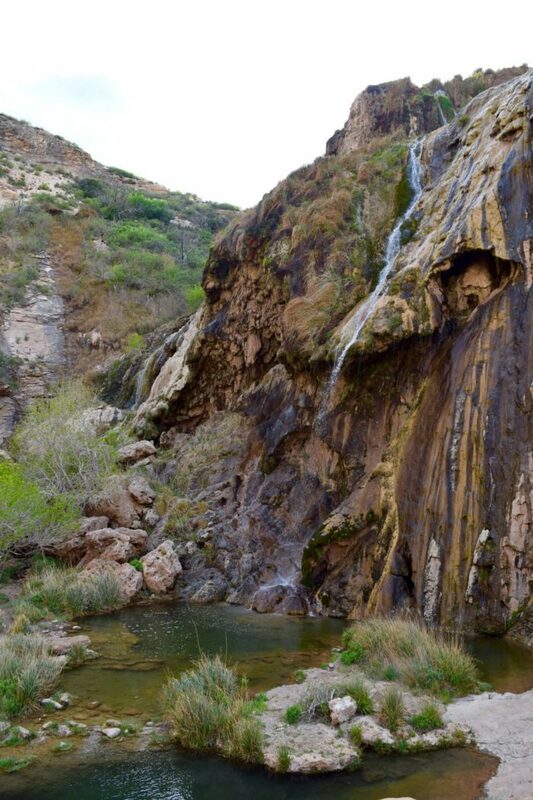 This waterfall swimming hole is a refreshing and unexpected delight, hidden in Southern New Mexico. The waterfall descends 150 feet into a vivid green pool, where you’ll want to take a dip this summer. Read more about it here. This is not your mother’s art museum. Inside a converted bowling alley, owned by none other than George R. R. Martin, is full-scale house. 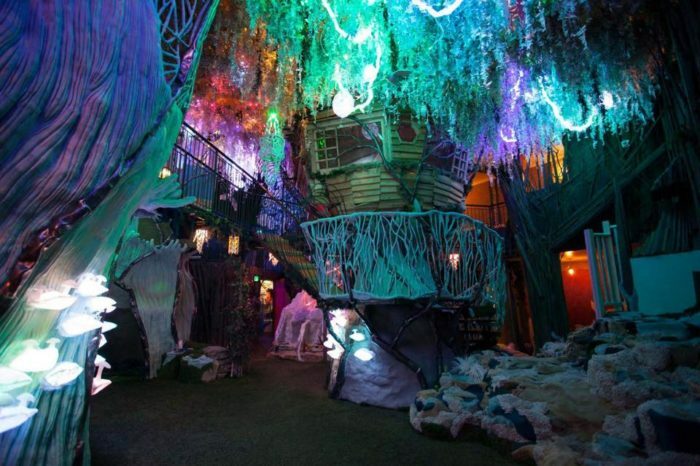 The House of Eternal Return takes interactive art to a whole new level – you really have to experience Meow Wolf for yourself. Read more about it here. 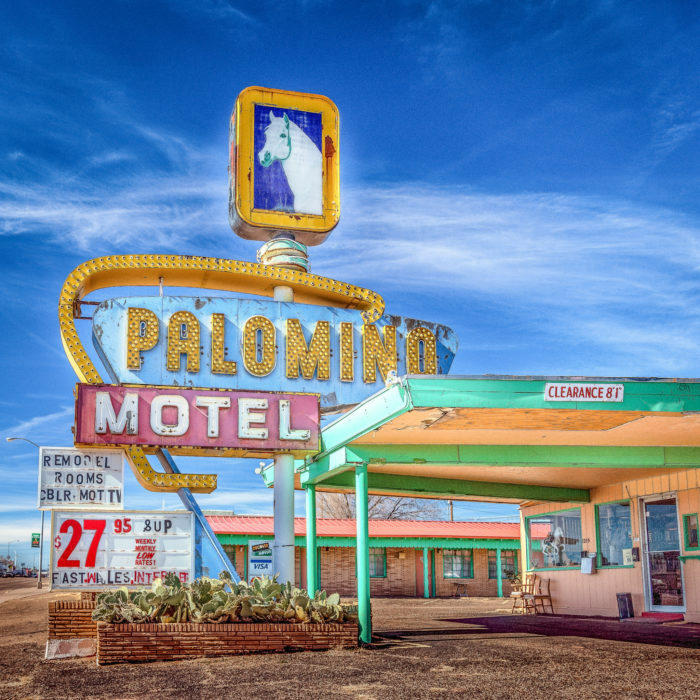 If you’re interested in Route 66, motor courts, neon signs, or nostalgic places, you’ll adore this underappreciated town. Check out the Route 66 Museum, admire the murals, and refuel at Watson’s, a Ranch Supply Store slash restaurant. Read more about it here. 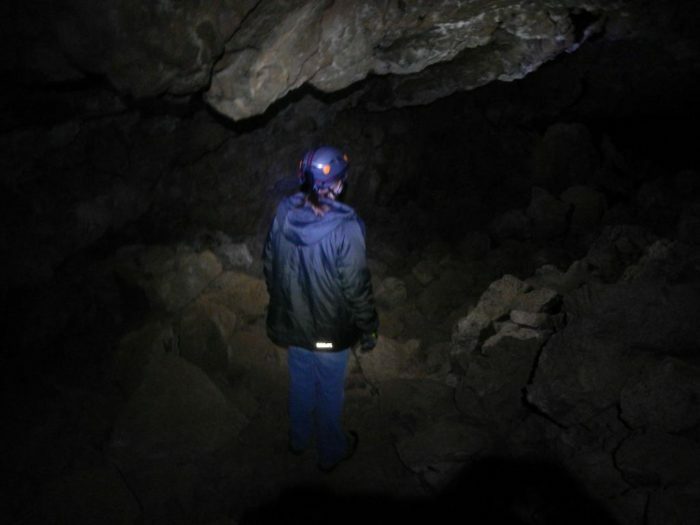 So you’ve taken your share of hikes through the Land of Enchantment, but have you ever embarked on a trek underground? Junction Cave, in El Malpais National Monument, is an old lava tube and you can walk right through it! Read more about it here. Part pirate ship, part tree house adventure, this park fulfills all your childhood dreams. 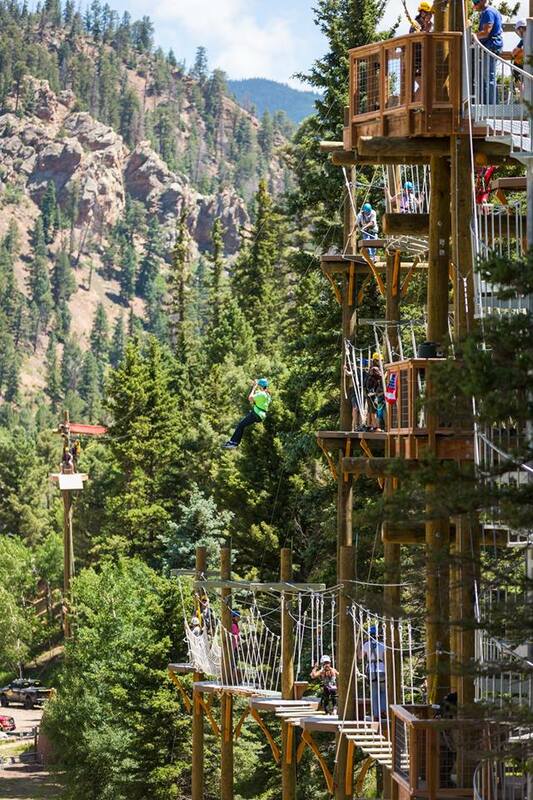 Clamber along this ropes course, enjoying the challenge and also the staggering natural beauty surrounding you. Read more about it here. 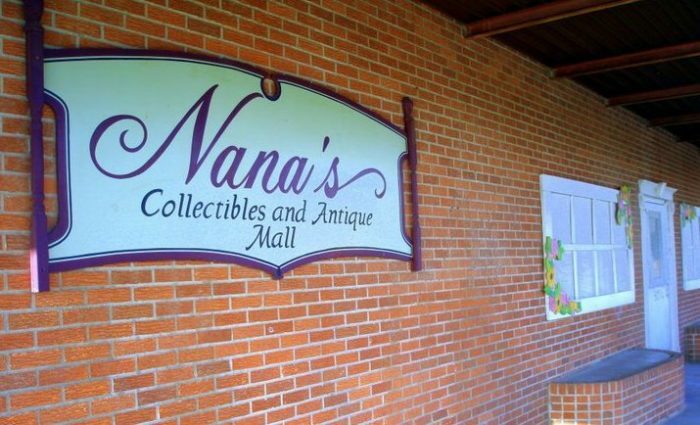 If you’re a collector or a fan of objects with history, head over to this 10,000 square foot antique mall. Inside, browse between 100 different booths – something is bound to catch your eye. Read more about it here. The words “cheese farm” are enough to win me over. If you feel the same way, you’ll want to take a tour of this tranquil, New Mexico farm. 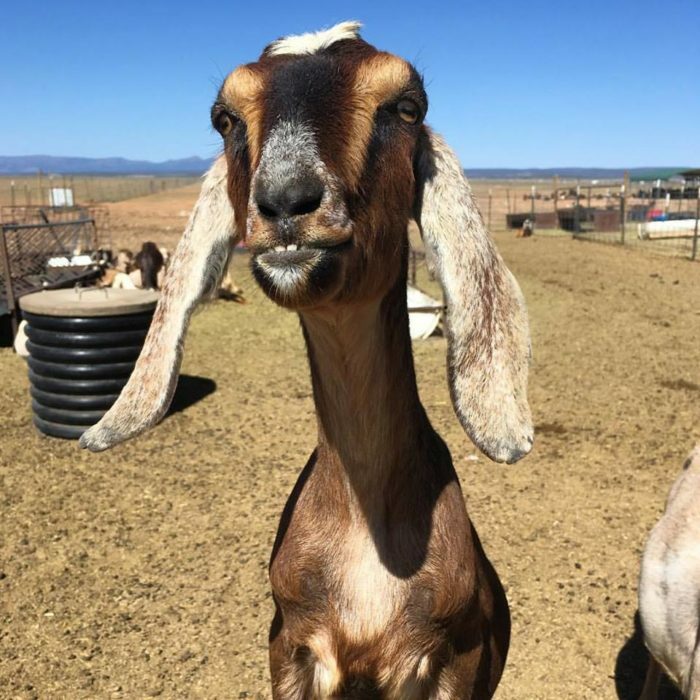 Pick up some cheese and snuggle with the adorable goats. Seriously, goat snuggling is now a thing. How can you resist this goofy face? Read more about it here. Whether you’re a fan of the arts or the outdoors, you’ll be entranced by this hidden gem of a town. 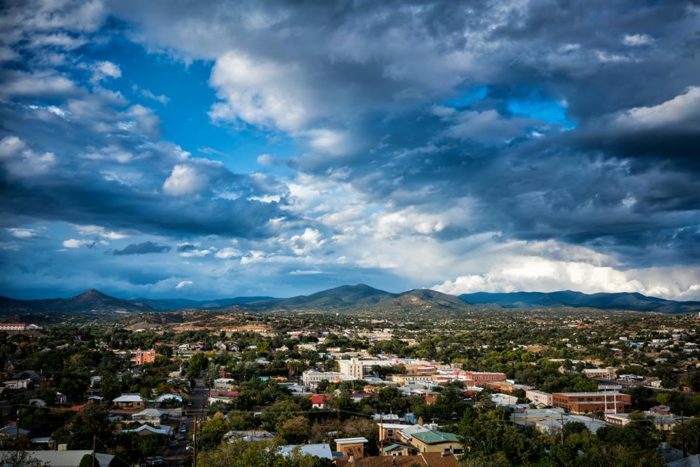 Learn about its history at the Silver City Museum, sample food at some truly stellar restaurants, then explore beautiful Big Ditch Park or head out into the Gila Wilderness. Adventure awaits! Read more about it here. Lounge on a sandy beach? In New Mexico? That’s not just wishful thinking. 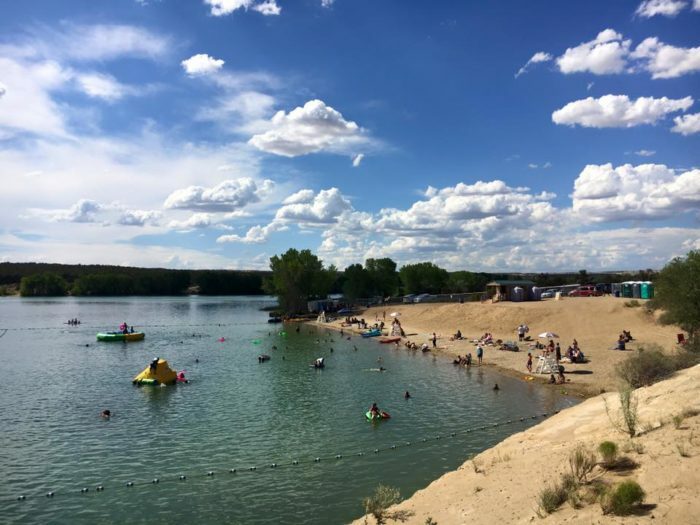 Part of Lake Farmington, a 250-acre reservoir, is open to swimming and it’s lined by a small stretch of beach. Read more about it here. Our state’s most impressive refuge is conveniently located near the center of the state, making it an ideal day trip destination. 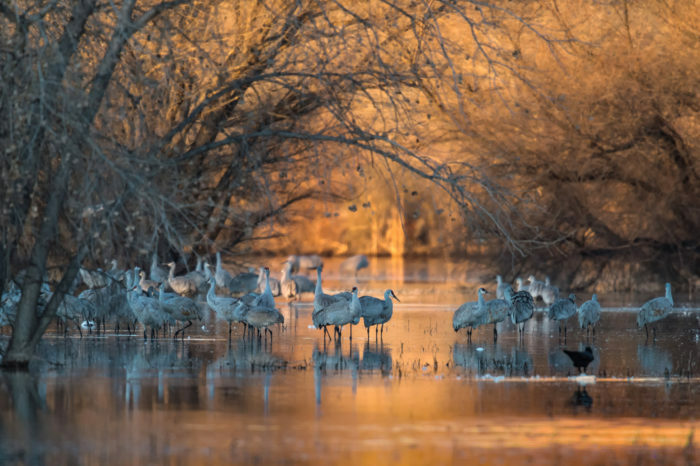 While you’ll see the most birds between November and January, this tranquil spot is a haven for wildlife year round. Read more about it here. 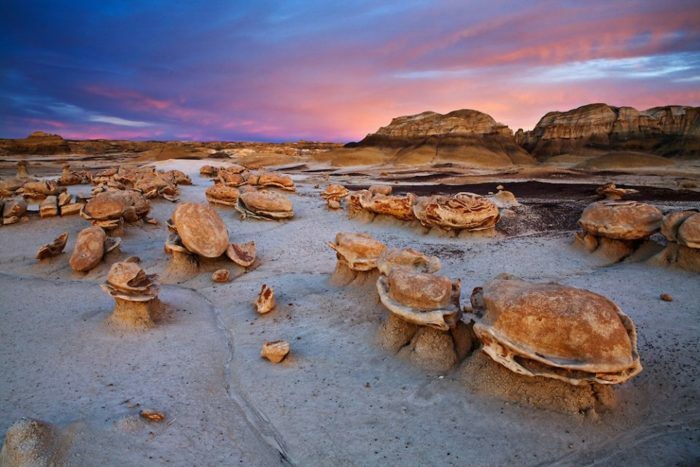 Bisti is an astonishing place filled with hoodoos and bizarrely-shaped rock formations that you won’t believe are real, even when you see them firsthand. Read more about it here.